Gospel with needy people around the world. The Stouts felt God calling them to serve in some area of missions, and took a short-term trip to Nicaragua in February 2002. They soon realized what a huge problem safe drinking water was in developing countries. That trip sparked an interest in finding ways of helping the needy with something as basic as water, and in the process, be able to share their faith in Christ. Greg then spent a year at an organization called New Life International. There they learned about water disinfection using chlorine generators. After raising some support, they were able to take trips to Ecuador, Haiti, Dominican Republic, Honduras, and Nicaragua and demonstrate and install systems in needy communities. Although these were great experience builders, they felt drawn to help the remote, rural people who always seemed to be left out of larger projects. Being raised on a farm, Greg identified more with their daily struggles. The Stouts sought out more training and education, and with the assistance of others in Mahaska County, Iowa, the Stouts devised a simple, cheap chlorine generator. Each unit is portable enough to take anywhere by foot and capable of disinfecting water for more than 100 families. A board was soon formed and S.W.I.M. (Safe Water International Ministries) was established in 2004, and is now a 501c3 non-profit organization. S.W.I.M. has worked in more than 600 villages and 11 countries, and they are always following God's lead to look for new opportunities. 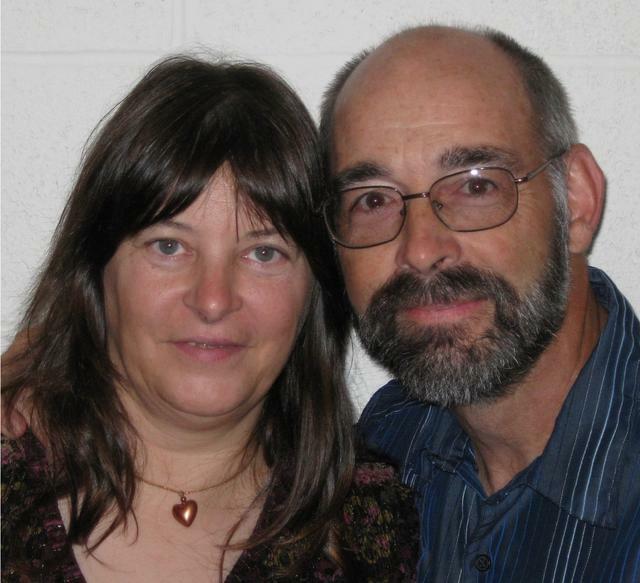 Greg and Vickie’s served for several years in Nicaragua, training local people on how to have safe water, while also distributing Bibles and sharing the Gospel. In 2015, the Stouts took on a new role with S.W.I.M. They sold their home in Nicaragua and found local leadership for the ministry they had there. Greg took a trip to Nepal and Northern India to see how S.W.I.M. could help after the devastating earthquake. They continue to work to provide clean water and the Gospel message to all who need it.